One in four owners reported a transport-related horse injury when surveyed in southeastern Australia. Research on horse transport has largely focused on the movement of horses by commercial livestock carriers. There is scant information on factors associated with horse injuries during private transportation in small trucks and trailers. Researchers Christopher Riley, Belinda Noble, Janis Bridges, Susan Hazel and Kirrilly Thompson set out in a pilot study to learn more about the risks by surveying drivers transporting horses to 12 equestrian events in southeastern Australia. They gathered data on the drivers themselves, their travel practices, vehicle characteristics, and horse injuries. A total of 223 drivers were surveyed in person for the research. Fifty-five of them reported transport-related injuries to horses in the past, representing one in four, or 24.7%, of the drivers. The study team, writing in the open-access peer-reviewed journal Animals, delved into the injuries reported by the 55 individuals. They found that 72% of the injuries were described as horse associated – that is, from scrambling, slipping or horse-to-horse interaction. The researchers found that another 11% were due to mechanical failure, and 6% due to driver error. The study team reported that 193 of the participants moved their horses by trailer, for a reported injury rate of 22.8%. The remaining 30 moved their horses by small truck, with a reported injury rate of 36.7%. Over half of the injuries involved the lower limbs (hind limbs 33.9%; forelimbs 22.6%), followed by the head and muzzle (14.5%), chest (9.7%), flank/hindquarter (9.7%), neck (6.5%) and tail (3.2%). Trailer-associated injuries usually occurred during vehicle movement (86.4%), and less frequently during unloading (6.8%), loading (2.3%) and while stationary (4.5%). Similarly, truck-associated injuries usually occurred during vehicle movement (72.7%), and less frequently during unloading (9.1%), and loading (9.1%). No injuries were reported in trucks while stationary. Mechanical failure of a trailer component accounted for a tenth of injuries, and included descriptions of rotten flooring, the hitch point snapping, and failure of the suspension. The risk of horse injury was not associated with driver age or gender, or experience, the study team reported. “Drivers that answer the telephone whilst transporting horses were more likely to report a previous injury experience,” they continued. The researchers also found a modest positive association between increasing trailer age and the number of injuries, but the range of trailer models described by participants prevented identification of the importance of individual design features. “The study highlights the potential for horses to sustain transportation injuries in privately owned vehicles and warrants further study to address this risk to their welfare,” they concluded. Traffic-related causes were described by drivers to account for less than a tenth of injuries, and occurred most commonly as a result of sudden braking or turning to avoid other vehicles that had stopped or turned suddenly. An admission of driver error accounted for about 6% of horse injuries. Discussing their findings, the study team commented on the diverse range of truck and trailer brands. 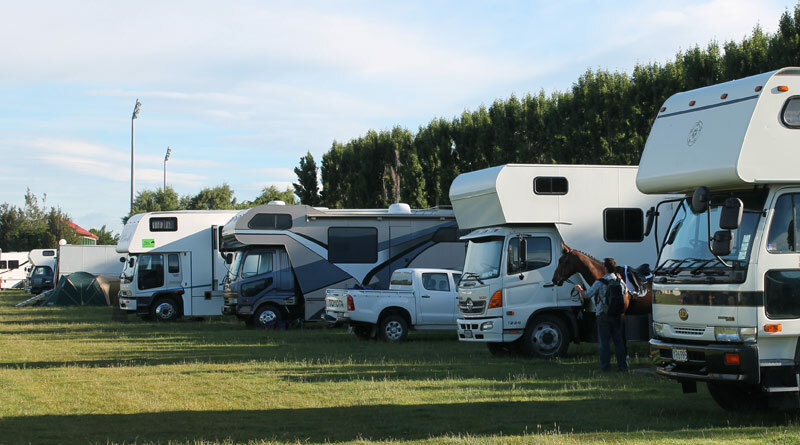 Regulation of non-commercial horse trailer design is equally lacking internationally, the researchers noted. Theys said more refined tools for collecting the data were required to better understand the contributing factors to accidents and injuries on the road. “The number of injuries resulting from the recollections of the participants over time is concerning, but should not be mistaken for an indication of period prevalence. Attention, they said, should focus on the causes so that measures can be taken to reduce the risk to horses in transit. Riley and Bridges are affiliated with New Zealand’s Massey University; Noble and Hazel with Australia’s University of Adelaide; and Thompson is with the Appleton Institute at Central Queensland University. Christopher B. Riley, Belinda R. Noble, Janis Bridges, Susan J. Hazel and Kirrilly Thompson.